Although it has not yet been formally announced, it is evident that a Canadian organisation called Cuba Cruise is preparing to offer a season of fifteen week-long Round Cuba cruises from Havana this winter using Louis Cruises’ Louis Cristal. If true, this will mark the first time that two cruise ships have offered service from the Cuban capital at the same time. Meanwhile, Costa has taken delivery of its fifteenth ship in the Costa Favolosa, and Cunard and P&O Cruises have announced a total of seven world cruises for 2013. Mark Tré last wrote about Cuba in “The Cruise Examiner” of November 23, 2009, under the heading “Cruising to (and from) Cuba” (www.cybercruises.com/cruisecolumn_nov23.htm). But news coming from Canada last week of a new Havana-based ship leads us to ask when will Cuba really be opened up for cruising? Since the Cuban Revolution, an American ban on its citizens travelling to Cuba and US-based companies trading with Cuba has prevented cruise lines from developing this largest island in the Caribbean as a market. And under the terms of the Torricelli Act and the Helms-Burton Act, no ship of any flag calling on Cuba will be allowed to trade into a US port for a period of six months after making a call in Cuba. Before the US ban, all the important cruise lines had called regularly on Cuba, mainly at Havana and Santiago de Cuba. The Florida-based Peninsular & Occidental Steamship Company also ran a three-times-a-week service between Miami and Havana, leaving Miami every Monday, Wednesday and Friday with its 4,923-ton Florida. The Monday and Wednesday sailings also accommodated round trip mini-cruisers, who would get a full day (but no lunch on board) in Havana. After the ban, no further ships from the US could call on Cuba and the Florida went to the Miami-Nassau trade instead. In September 1962, after the Cuban Revolution, the last ship to leave Havana was the cruise-ferry City of Havana, and for almost a half-century now, only European-based ships have been able to make calls at Cuban ports, and even then only if they do not intend to call on the US immediately thereafter. There have been several attempts by European lines to start cruising from Cuba. One of the most serious was by Costa Cruises, who began cruising from Havana with the 8,583-ton Costa Playa, ex- Pearl of Scandinavia, in 1995. But when Carnival Corporation bought a half share in Costa in 1997, along with Airtours of the UK, the Cuban cruises had to be dropped. Carnival, although a Liberian corporation, was based in the US and was thus prohibited from trading with Cuba. The Costa Playa was sold in 1998 to owners in China. Costa had gone further than just basing a ship in Havana though. It also had to dispose of a 50% interest it had acquired in Silares Terminales del Caribe, a joint venture with the Cuban Government that was formed to operate three cruise ship terminals in Havana, Santiago de Cuba and Isla de la Juventud. This interest had to be sold to other interests, but in 2005 the Cuban Government under Fidel Castro, terminated its agreement with Silares after criticism of the cruise shipping industry by the Cuban dictator. 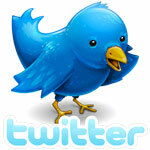 Silares had been working with fourteen cruise lines, primarily from the UK, France and Germany. 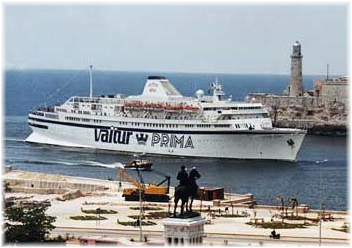 A second Italian attempt to offer cruises from Havana was made by the tourism group Valtur in 1999-2000, using the 15,614-ton Italia Prima, renamed Valtur Prima to cruise from Havana. This ship ended up laid up in Havana in 2001 and then Festival Cruises took her over in 2002 to run Cuba cruises under the name Caribe. For a while, Festival also used its own 47,276-ton Mistral, built in 1999, on a seasonal basis from Havana, with flights provided from Milan, Paris, London, Madrid and Frankfurt. In 2004, however, Festival went under and the Valtur Prima went to Classic International Cruises and now trades in Europe and Australia as the Athena. In 1999, Airtours of the UK also began operating cruises that called on Cuba, with its 37,773-ton Sunbird, the largest cruise ship yet to call on Havana. She set a record for Havana, with 1,414 passengers, in January 2003. Eight years later, in January 2011, Thomson Cruises’ 53,872-ton Thomson Dream caused the latest stir when she became the largest yet to call on Havana, which was scheduled into several of her 2011 cruises. Ironically, the Sunbird is now also a Thomson ship, trading today as the Thomson Destiny. Spain’s Pullmantur Cruises then began a series of cruises from Havana in late 2004, with its 37,301-ton Holiday Dream, but had to cancel the program in 2006 after Pullmantur came under the control of the other large US cruise operator, Royal Caribbean Cruises. Every weekend since October 2004 the Holiday Dream had been leaving Havana on cruises to Cancun, Isla de la Juventud, and Jamaica, another program that had to be terminated because of American control. The Holiday Dream now trades as the Bleu de France and will no doubt return to Havana as the Saga Sapphire after she joins Saga Cruises in April 2012. As part of this particular deal, Pullmantur also had to terminate the employment of all Cuban nationals working on its ships. Cuban chefs, bartenders, stewards and waiters were not eligible to work for a US-controlled company as its government prohibited commercial relations with that country. Two hundred and thirty Cuban employees were let go. About half the Holiday Dream’s passengers had come from Spain, with the rest largely from Latin America, especially Mexico and Brazil. And while in 2005, Cuba had seen 102,440 cruise passengers on 122 calls, this dropped almost 90%, to just 11,000 on 23 calls in 2007, after the forced withdrawal of Pullmantur. Earlier this year, there was talk of a new cruise-ferry line being formed. To be called United Caribbean Lines, the idea was to put a European car ferry into service between Tampa and Havana, on the original Peninsular & Occidental route. Proposed fares would be $350 round-trip based on double occupancy in a cabin, or $150 in an airline-style seat, with an 18-hour voyage in each direction. With the liberalization of travel arrangements for Cubans, more than 400,000 Cuban-Americans flew to Havana in 2010, and the cruise-ferry idea has been offered as a substitute.As of yet the US Government has issued no permits for such an operation but United Caribbean Lines is examining a start-up cruise-ferry service between Florida and Mexico that could later add calls in Cuba. A travel license application has also been submitted for the 24,318-ton Explorer, which, under the auspices of the Institute for Shipboard Education, proposes to visit Havana between December 9 and 11 this year in the course of her Autumn 2011 World Cruise from Montreal to Fort Lauderdale via Africa, Asia, the Pacific Ocean and Panama. If the permit is granted, this will be a first visit to Havana by any US-based passenger ship for almost half a century. In the meantime, since earlier this year, Tropicana Cruises, a Russian-owned company based in London, has been operating the 4,490-ton Adriana as part of a 13-night holiday itinerary, tying in with Cubana Airlines flights from Gatwick on Wednesdays, and returning from Havana on a Tuesday. The package includes three nights in Havana, a 7-night cruise in the Adriana from Havana and three nights post-cruise at Varadero Beach. The Adriana’s weekly cruises leave Havana to visit Nueva Gerona, Trinidad de Cuba, then Montego Bay and Ocho Rios in Jamaica, before returning to Havana by way of two more Cuban ports at Santiago de Cuba and Cayo Saetia. While no formal announcement has yet been made, the news from Toronto indicates that a Canadian organisation called Cuba Cruise, located the same address as the Merit Travel Group and Exclusive Tours, wholesale cruise specialists, as well as Cruise North Expeditions, a small ship operator, will run a series of fifteen weekly Round Cuba cruises from Havana this winter. Starting on December 4, the 25,611-ton Louis Cristal, operating as the Cuba Cristal, will offer a series of fifteen weekly cruises from Havana to Cayo Guillermo, Bahia Nipe, Santago de Cuba, Cayo Caguama, Cienfuegos and Isla de la Juventud. Although Louis has started posting shore excursion information to its own web site, it appears that the operation will depend largely on Canadian tourists escaping their northern winter. The new cruise operator’s site at www.yourcubacruise.com, is about to go live with dates and fares and a reservation system for the upcoming winter season, with the final departure of the season set to leave Havana on March 11, 2012. The story first came to light about six months ago, when the Cuban tourism ministry indicated that it was working to attract a cruise line that will offer round-Cuba cruises for Canadian tourists over the winter of 2011/12. José Manuel Bisbé, commercial director at the Tourism Ministry, didn’t specify the line, but made the statement on the event of the first Montreal-Havana flight of Canadian airline Sunwing. This was the first time Sunwing had offered a city destination to Canadian tourists travelling to Cuba, as opposed to beach destinations such as Manzanillo de Cuba and Varadero. Traditionally, Air Canada has been the only Canadian carrier to serve Havana (as well as three other Cuban airports) while Cubana serves both Montreal and Toronto. 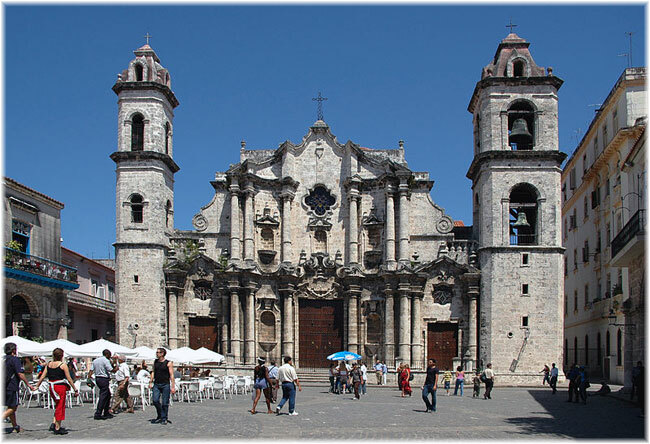 In 2010, Cuba received about 2.5 million tourists, with Canada supplying the largest number of these, or 941,000. It is only natural, therefore, that any significant increase in the numbers of cruisers travelling from Cuba might come from there as well, especially in the absence of Americans. Europe and Latin America supply the balance of Cuba’s tourist trade, a very small number of whom arrive by cruise ship from outside Cuba. While the Tropicana carries about 300 passengers, the Cuba Cristal is three or four times as large, with 966 lower berths and 1,278 berths in all. This ship is best known in North America from the five years between 1994 and 1999 when she operated on charter to NCL as its Leeward. This new series of cruises will mean that two cruise ships will now be sailing from Havana, with the Adriana departing on Saturdays and the Cuba Cristal on Sundays. Even if just for the winter season, this is truly an important development. But while two ships sailing from Havana will be a great advance for that port, it will not be until the Americans lift their total ban that real numbers will come, and then they will easily number between one and two million a year, but at first as cruise ship calls rather than embarkations. There is berthing space for five or six cruise ships in Havana, and many British, French, German and Norwegian ships have also called on Cuban ports, but the real expansion will come with the American return, which cannot now be that far off. 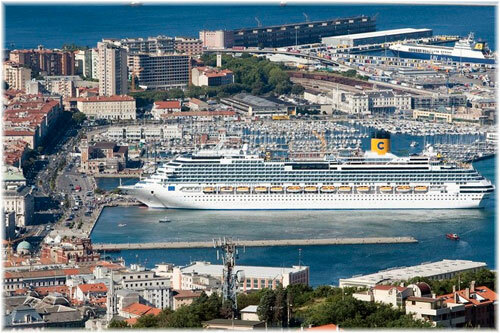 The black-tie naming ceremony for the new flagship of Costa Cruises, Italy’s largest tourism group and Europe’s largest cruise company, took place on Saturday, July 2, in the magnificent setting of the Piazza Unità d’Italia in Trieste and the presence of 2,000 guests.. The new ship’s godmother was Italian actress Margareth Madè, best known for her starring role in the movie Baaria. In keeping with tradition, Ms Madè was invited by the ship’s captain, Ignazio Giardina, to cut the ribbon and break a bottle of Aneri Prosecco wine on the bow of the new flagship. The 114,500-ton Costa Favolosa, fifteenth ship in the Costa fleet, can carry 3,800 passengers. And as an Italian-built ship and the largest ship under Italian flag she now sails the seas as a symbol of great Italian pride. The naming ceremony was incorporated into the official celebrations of the 150th anniversary of the Italian Unification. The new ship will now spend the summer sailing out of Venice to Olympia, Bari, Izmir, Dubrovnik and Istanbul. Among other things, this 1,508-stateroom ship (594 with private balconies) has a 4D Cinema, a Grand Prix Simulator, Golf Simulator and PlayStation World Area. Cunard Line will send all its three of its celebrated Queens on world voyages in 2013. The 148,528-ton Queen Mary 2 will leave Southampton on January 10 on a 106-night voyage to Australia, which will include overnight stays at Dubai, Hong Kong and Cape Town. The itinerary will include five ports in New Zealand, which will also be sold as a Round New Zealand cruise in Australia and the UK. In all, the Queen Mary 2 will call at thirty-four ports in eighteen different countries. Marking a return to line voyages, the 90,901-ton Queen Elizabeth will sail to and from New Zealand in 2013, leaving Southampton on January 6. She will sail both ways via the Panama Canal and visit twenty-eight ports in fifteen different countries. The 90.049-ton Queen Victoria will leave Southampton on January 10 on a 105-night cruise that incorporates both the Panama and Suez Canals. She will call at thirty-four ports in twenty-four different countries. Meanwhile, sister company P&O Cruises will send four ships on world voyages in 2013, including its largest ship, the 115,055-ton Azura. While she will spend the winter of 2012 in the Caribbean, operating fly cruises from the UK, she will join three other P&O ships on world cruises in 2013. On January 5, 2013. the 86,799-ton Arcadia will leave Southampton on a 99-night world cruise that takes in South America, the South Pacific, New Zealand, Australia and California. The 76,132-ton Aurora will follow her two days later on a 106-night west-about world cruise, and on the same day, the Azura will leave on a 110-night cruise to Australia and the Far East via the Suez Canal and back via Cape Town. The 30,277-ton Adonia, meanwhile, will leave Southampton on April 3 on an 85-night cruise around South America, a repeat of a similar voyage that is already scheduled for 2012.